Moorestown Township Public Schools celebrated the graduates of the senior class of 2016 on Wednesday, June 22 at the MHS stadium. Three hundred and twenty seniors in caps and gowns took their final steps as high school students and began new steps to their next journey in life. On that day, students, administrators, families and friends were addressed by the class of 2016 valedictorians Jessica Fan and Kelly Li and salutatorian Dilan Trivedi, speaking of memories and giving hope and inspiration to the class of 2016 for the future. The Sun took some time to speak to Fan, Li and Trivedi on graduating, their speeches, their future goals, memories and more. Fan: It seems like I’m feeling a bit of everything — very excited, a little sad, greatly relieved, slightly overwhelmed, but at the same time numb. I still can’t quite believe it’s happening so soon. I feel like once I graduate, I can finally just take a deep breath and relax, but I will definitely miss MHS. Li: A bit of a complicated combination of excitement, apprehension and sadness. Definitely a bittersweet time of many “lasts,” but with so many exciting “firsts” ahead of us. Trivedi: I am really excited to graduate, but it truly is a bittersweet moment. There is so much anticipation and joy of finally receiving the diploma after 12 years of hard work, but it also is a major turning point in my life. I will be leaving my family, friends and hometown for an uncertain future. I think everybody is feeling this similar cocktail of emotions. 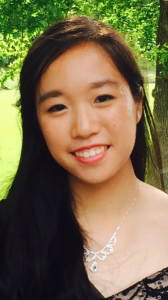 Li: It is a true honor to be named one of the co-valedictorians, and to have the chance to represent our class. Sharing the title with one of my best friends is also an amazing conclusion to our high school careers. We definitely helped raise and push each other all these years. It is also definitely worth noting, however, that grades and GPA are just a tiny fraction of the ways to measure the successes that my peers have achieved throughout the years. They are a truly amazing group of individuals with whom I have had the privilege to share 12 years. Fan: I feel honored and incredibly grateful. I’ve been so blessed these past few years to have had such a supportive group of friends and family who have grown with me, encouraged me and challenged me to be the best that I could be. I know for a fact that without them, I would not be where I am today. In particular, Kelly, my co-valedictorian, has been an inspiration to me by often demonstrating how the things I didn’t think were possible can in fact be done. And because of that, I now know to never dismiss any of my dreams or goals as impossible. 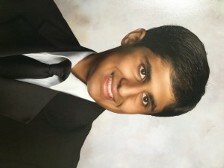 Trivedi: It truly was a honor being named salutatorian. Our class is full of so many accomplished students, athletes, artists, etc. and I am proud to have received such a recognition. The entire class has worked very hard over the last four years, and I am happy to represent my talented peers at graduation. Fan:This fall, I will start school at Princeton University. As of now, I will be going in as an engineer, although I am not entirely sure which specific field of engineering I will end up majoring in. I am considering chemical and biological engineering or mechanical and aerospace engineering. I don’t really have a particular dream job in mind, but it would be something that incorporates all of my favorite things — science, music, dance, helping people and solving puzzles. 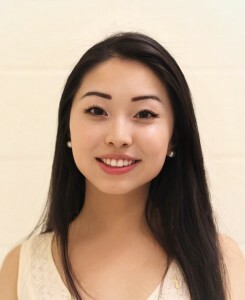 Li: In the coming fall, I will be attending Yale University. My intended major is biomedical engineering on a pre-med track, but I am very open and excited to explore the breadth of options and opportunities available. Although I am not yet sure of what my dream job may be, I hope to be able to work on projects at the intersection of medicine, poverty and social change. Trivedi: I will be studying economics at Duke University next fall. Li: Jessica and I are working on a joint speech to the class. Our message is to look up and ahead at the literally boundless possibilities that are our futures. Fan: We used the concept of space and its exploration to illustrate both the uncertainty and the potential of our future. Trivedi: I do have a speech prepared. The theme is reflecting on the past, appreciating the present and anticipating the future. Fan: We wanted to remind our fellow graduates that there is no need to fear the unknown because it is only in the unknown that we can find new possibilities; that success only requires that we be willing to make a difference in our own lives or the lives of those around us; and that we as a whole will be the ones to write our future. Li: I want to thank my classmates for a truly wonderful 12 years. Each of you have, and will, touch lives and the world. Good luck with all the big things ahead of you, and I genuinely hope that we cross paths again soon. Trivedi: To go along with the theme of my speech, I want to remember that all the experiences from the last 12 years have brought them here today and will undoubtedly prepare them for endless success in the future. The Sun: What’s your favorite memory you’ve had being in the Moorestown Township Public Schools? Fan: There were so many great memories from this district — I don’t think I can choose! I suppose one of my favorite and oldest memories of Moorestown was from third grade in South Valley when our entire class put together a musical, “Treasure Island.” Not all of us were what you might immediately consider musically gifted, or talented at acting, or skilled at dancing — although there were plenty who were. But despite that, we all still came together to produce something we could all be proud of. I never did theater again in school, but those songs that we sang still work their way into my mind now and then, and I often find myself humming along to them in my mind. Trivedi: This is probably the toughest question. Over the last 12 years, there have been so many memories — carnivals, Unity Day, dances, field trips, etc. I would say my favorite would have had to been Senior Trip at Disney World. It was one of the last times the class came together and it was honestly really fun. Li: Remember to chase your happiness, trust yourself and go take the world by storm. Trivedi: Congratulation to MHS class of 2016!